Underlying the melodrama and moralism, the orthodoxy and mysticism of Uncle Silas, W. J. Mc Cormack has discovered a 'sinister vacancy from which authority has withdrawn'. The remark might be applied to the whole body of Sheridan Le Fanu's fiction. "Vision and Vacancy" follows the course of his attraction to the void, and his resistance to it, from the beginning to the end of his career. 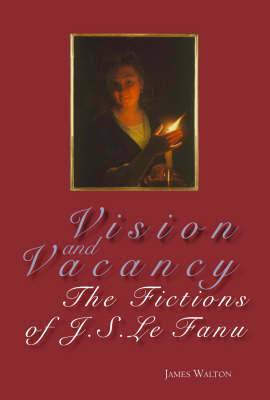 By placing his work within the appropriate contexts of early apparition narrative and modern ghost story, English and Continental novel, Walton's study provides not only the most thorough account of the richness of his techniques but shows how cosmopolitan influences were an inescapable condition of his (Anglo-) Irishness.